Official Google Australia Blog: Introducing DataLiberation.org: Liberate your data! Introducing DataLiberation.org: Liberate your data! What does product liberation look like? Said simply, a liberated product is one which has built-in features that make it easy (and free) to remove your data from the product in the event that you'd like to take it elsewhere. At the heart of this lies our strong commitment to an open web run on open standards. We think open is better than closed -- not because closed is inherently bad, but because when it's easy for users to leave your product, there's a sense of urgency to improve and innovate in order to keep your users. When your users are locked in, there's a strong temptation to be complacent and focus less on making your product better. Many web services make it difficult to leave their services - you have to pay them for exporting your data, or jump through all sorts of technical hoops -- for example, exporting your photos one by one, versus all at once. We believe that users - not products - own their data, and should be able to quickly and easily take that data out of any product without a hassle. We'd rather have loyal users who use Google products because they're innovative - not because they lock users in. You can think of this as a long-term strategy to retain loyal users, rather than the short-term strategy of making it hard for people to leave. We've already liberated over half of all Google products, from our popular blogging platform Blogger, to our email service Gmail, and Google developer tools including App Engine. In the upcoming months, we also plan to liberate Google Sites and Google Docs (batch-export). Feel free to take a deeper look into product liberation at dataliberation.org, a website we're launching today which is dedicated to explaining the Data Liberation Front and the products we've liberated. 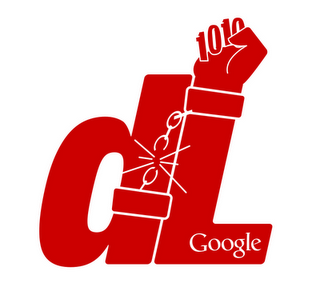 If you'd like to contribute suggestions for services that you think need to be liberated, please do so on our Data Liberation Moderator page. We're also on Twitter @dataliberation.